Modular construction methods have various advantages over traditional construction within the industry. The most inherent advantage is the flexibility with industrial modular buildings. Since modular buildings are prefabricated, they can be adjusted, expanded, reduced or relocated as per the need of the hour. These metal buildings are easy to install in a lesser timeframe and they are economically friendly due to the type and amount of material used to build them. Modular buildings are stronger than conventional buildings because they are over-engineered to withstand the rigors of weather, relocation or adjustments. In fact, these buildings are high quality, affordable and unique in design. Any architectural style is possible: With modular building systems you get the benefit of pre-engineered buildings in any architectural style without having to incur any expense of hiring an engineer. These buildings are designed on CAD with all the broachers, installation guide and bill of materials in consideration. No need for Project managers to ensure coordination: Conventional construction requires engineers, architects, and project managers to ensure coordination between the contractors in order to maintain an effective communication flow. Coordination of so many people involved in a project is tough and can often go out of hand. With prefabricated buildings by Panel Built, your entire building project is just a call or click away. At Panel built we provide pre-engineered buildings in addition to complete installation and relocation of the metal building. You don’t need to spend time managing people; you can continue your work while Panel Built installs the building for you in no time. Durability: With pre-engineered modular buildings, you get consistent and high-quality outer appearance of your building regardless of the weather and seasonal changes. Your building will not lose its color and will look the same through years to come. Such quality control is not possible with traditional construction methods. 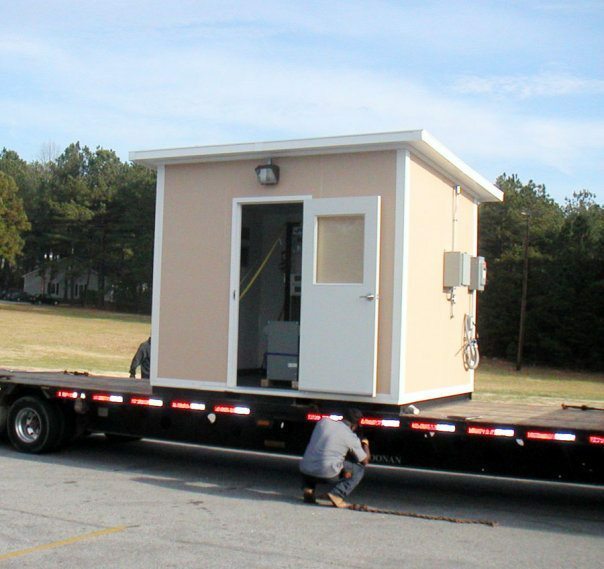 Quick Installation: Standard sized buildings can be installed within a week, compared to conventional construction that can extend up to months, especially when handling multiple contractors and design permits. Cost savings in this type of construction is significant especially that plant disruptions are minimized while eliminating costs. Clean Installation of building: Prefabricated modular buildings are less messier to install because you do not have to worry about sealing of an area or put up diversion signs and the installation is cleaner comparatively because there is no paint, mortar or tape involved. Plus, cleaning the equipment afterward is not required since none is used during installation. Reduced labor costs: These metal buildings are pre-engineered which is why there is no need to contractors, architects or engineers which reduce the labor costs substantially unlike traditional construction. Easily relocated and moveable: The greatest advantage of prefabricated modular buildings is that they can be relocated or moved to another spot as the business demands. The benefit of these pre-engineered modular buildings is that they fulfill the demand of businesses by able to change according to rapid growth, relocation or downsizing. These modular buildings are easily adjusted and as per space they altered as the need changes. Panels, walls, doors, windows. If you want a window in place of a solid panel stand then it can be changed quickly without disturbing the other panels or the ceiling. Sound resistant: Modular buildings are sound resistant compared to conventional buildings. It is a necessity in industrial areas where forklift traffic or loud machinery is used on plants nearby. Sound panels provide a practical solution to control noise. Modular buildings are built to ensure all openings and connections to ensure that the building will meet your sound proofing requirements. Tax benefits: Modular buildings yield quicker returns on investment because they have a seven-year depreciation period whereas; conventional buildings can depreciate in more than 30 years. 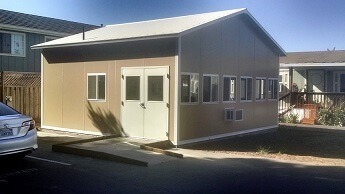 Panel Built is one of the best companies that sell prefabricated modular buildings. Panel built understands the need of businesses to be able to easily order their modular buildings online at lesser prices and installation with a quick response time. Affordable prefabricated modular buildings are available online via Panel built are an effective and reliable source of flexible metal building solution. Panel Built Inc. is a world class manufacturer of prefabricated modular buildings and steel structures. We believe in total customer satisfaction. We pride ourselves on listening to our client’s construction needs by providing them creative solutions within their budgets. Our customers, dealers, and employee relationships are the foundation of our company. We strive to provide a safe, rewarding, and positive work environment to enrich the lives of our stakeholder’s employees and their families. We offer industrial modular buildings online, prefabricated modular buildings, modular building systems, metal modular buildings, modular building panels and industrial modular buildings. All our multiple product lines are produced on site, in two state-of-the-art manufacturing facilities.